We offer three types of kavling: S 650, S 500, and exclusive type. Each one of them has unique view, wether it's sea view, lake view, or golf view; depends on your preference. You can get a stunning view to our signature hole, Hole 15/16. We offer three types of kavling: S 650, S 500, and exclusive type. 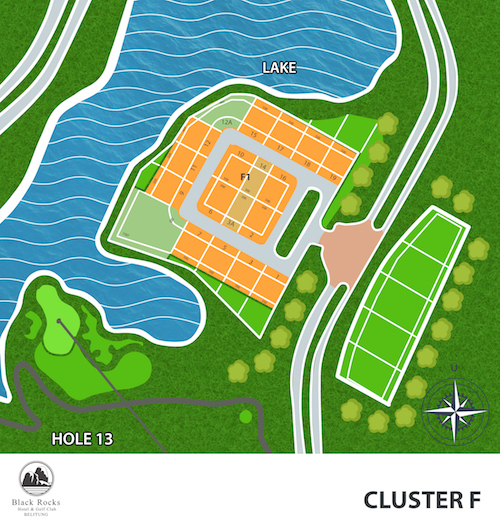 This cluster is located next to the lake and facing to Hole 14. We offer three types of kavling: S 650, S 500, and exclusive type. 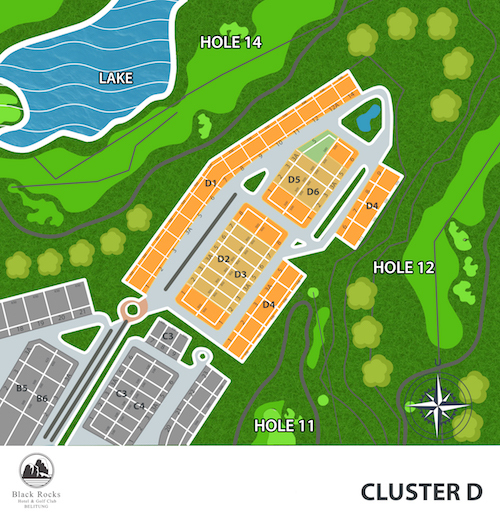 Cluster C is located between the main road and Hole 10. From Kavling C5, you will get a stunning view of wide green area. We offer three types of kavling: S 500, S 300, and exclusive type. 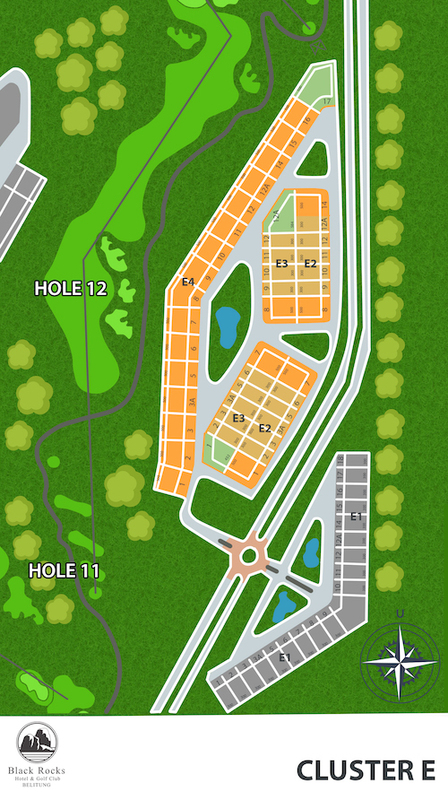 Surrounded by 3 holes, Hole 11, Hole 12, and Hole 14; you will be spoiled by stunning golf view and green park view. We offer three types of kavling: S 500, S 300, and exclusive type. 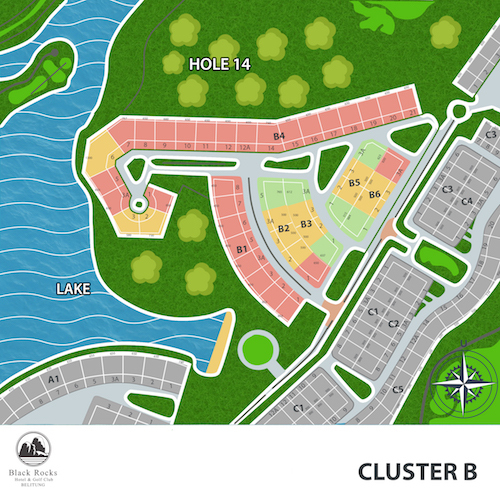 For you who loves to be surrounded by plantsand trees, Cluster E is the right one for you. 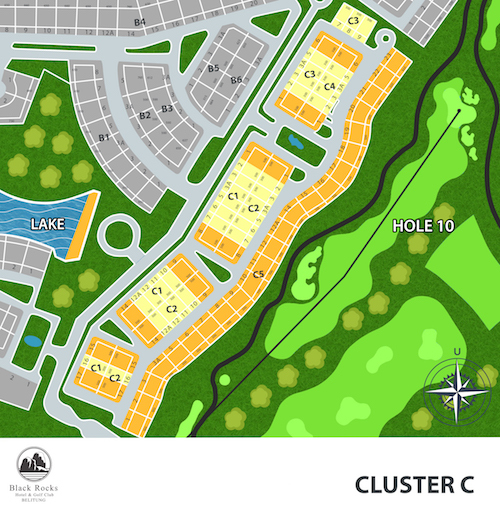 Located in between green park view and Hole 12. We offer three types of kavling: S 500, S 300, and exclusive type. 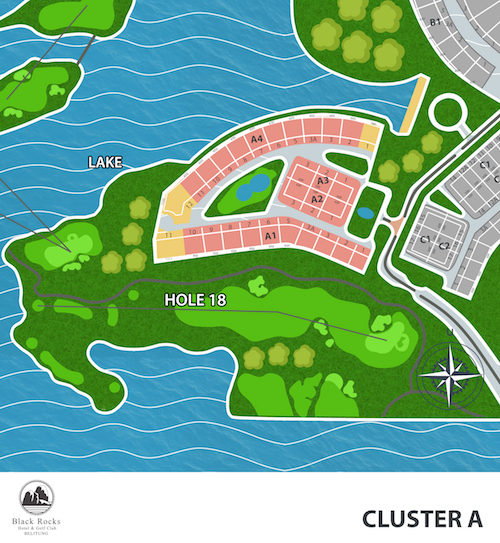 Not only you will be living in a golf house, it's also a lake house. Calm and serene view of the lake is right in front of your house. We offer three types of kavling: S 650, S 500, and exclusive type. 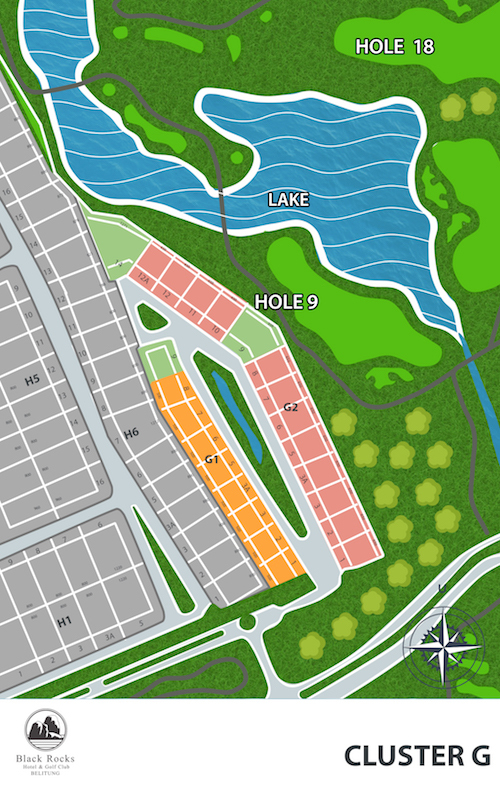 You can wake up and see Hole 6 from your residence and get the lake view, also green park view. Copyright © 2017 PT BELITUNG GOLF AND RESORTS. All Rights Reserved.